Stress is such a big part of our day-to-day lives. No matter what stage of life you are in, there is often some type of stress that you deal with. Stress can build up, leaving us to worry about how we are going to get everything done that we need to get done. We begin making lists of things that need done, and then the list spills over into tomorrow, adding anxiety and guilt over what could not be accomplished and what still needs done. Jesus tells us in Matthew 6:34, “Therefore do not worry about tomorrow, for tomorrow will worry about its own things. Sufficient for the day is its own trouble” (NKJV). So what can we do in order to live like Jesus has instructed us? We must learn to manage that stress in a godly way! Stress can be simply defined as the effects of outside forces on an individual. This is what you are feeling when you have to handle more than you are used to. Stress can be a good thing and can cause your body to react when in danger. Stress can come from external factors, such as your relationships with others, your job, the environment, and from expectations and situations that you experience every day. Stress also comes from internal factors, such as how you react to outside stressors, your nutritional and fitness status, your emotional well-being, and how much rest your body receives. We can become so stressed that it starts to manifest itself mentally, emotionally, and physically. 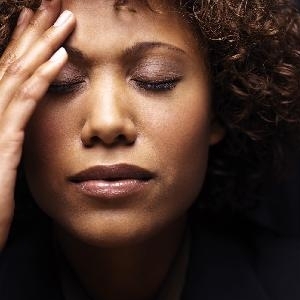 People under severe stress can suffer sleep disturbances, muscle tension, headaches, gastrointestinal disturbances, fatigue, nervousness, anxiety, loss of enthusiasm or energy, moodiness, a decreased immune system, and a change in eating habits. Knowing what is causing you to feel stressed will allow you to manage your stress. Once you know what is causing you stress, look for ways that you can relieve the stress. Ask someone for help if you need it. Organize your schedule and do the most important tasks first, instead of waiting until later or taking on too much. For some, it may be as simple as better organizing your time. Look at the ways you have currently been coping with stress. Are they effective and healthy? Look for better ways to relieve your stress if you don’t feel as though yours are working. Make sure you get plenty of rest, eat healthy foods, and exercise regularly. Surround yourself with people who are a good support system for you. Sometimes just talking through a situation will make things clearer and your tasks may seem more manageable. Most importantly, don’t forget to pray and ask God for help! Exercise: regular exercise is one of the best ways to manage stress. Write: writing can help you get thoughts down on paper and out of your mind, to deal with more efficiently. Let your feelings out: talk, laugh, and cry when you need to with someone that you trust. Do something that you enjoy: a hobby can help you to relax. Learn ways to relax your body: this can include breathing exercises, muscle relaxation exercises, massage, aromatherapy, or yoga. Listen to relaxing music, light candles, and take a bubble bath, read, or laugh. Stress is part of our everyday lives. How you choose to manage it can determine your health. Let us make sure that we are always looking to God for help and instruction on how He wants us to live. “Be anxious for nothing, but in everything by prayer and supplication, with thanksgiving, let your requests be made known to God; and the peace of God, which surpasses all understanding, will guard your hearts and minds through Christ Jesus.”(Philippians 4:6-7, NKJV). Even before I got married, I had my own insurance through my job. Choosing which insurance option was right for me was difficult enough without having to make the best choice for a family. Although some employers may not offer more than two plans, usually those plans have extra options. What are the primary plan types? HMO- This is a health maintenance organization. This plan allows you to use physicians who are part of their network. With this type of plan in addition to your monthly premium, you may have a co-pay for office and hospital visits. Because HMOs receive a fixed fee for your covered medical care, it is in their interest to make sure you get basic health care for problems before they become serious. 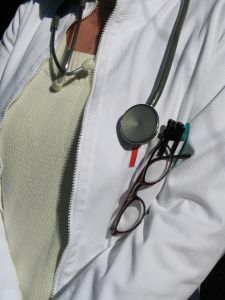 HMOs typically provide preventive care, such as office visits, immunizations, well-baby checkups, mammograms, and physicals. The range of services covered varies in HMOs, so it is important to compare available plans. Some services, such as outpatient mental health care, often are provided only on a limited basis. PPO- This is a preferred provider organization. This type of healthcare insurance has physicians who are part of their network but also allows you to see physicians who are not included in the network at a higher out-of-pocket cost. PPOs usually require co-pays for office visits, and may require precertification (insurance pre-approval) for some procedures. An HSA is a healthcare savings account. 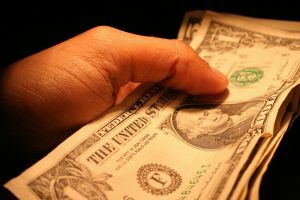 This is usually an option with health insurance coverage that allows the member to put a set amount of money per month (or biweekly) into a savings account. Usually with this type of plan, members are given what looks like a debit card to use the funds that are in the account to pay for their out-of-pocket expenses. This account can be great but also a little confusing. The money put into the account is tax free. This means that it is taken out of your paycheck before taxes are. However, money put into this account that is not used is usually not able to be refunded to you. Deciding how much to put in (which has to be decided when insurance is signed up for) is the most difficult part of this task. In general, putting in at least half of the overall deductible is acceptable. However, if you foresee hospitalizations (for births, surgery) or have high pharmaceutical costs, saving the full amount of the deductible or more may be in your best interest. There is so much information here, where do I start? Before making the decision, make sure your primary care physician (PCP) (and any other physicians your family may use on a regular basis) is covered by the plan you choose. Most employers provide websites with the plan information to verify that your doctors are covered under the plans. If the plan(s) offered do not cover your PCP, it may be in your best interest to use a different doctor. Although this is sometimes hard, and heartbreaking, your wallet will thank you. Using a physician who is outside of the insurance company’s “network” would raise what you pay out of pocket. It is also important to read everything about the plan. Are vision and dental included, or do they cost extra on top of the monthly premium? This is important and easily overlooked. The most important thing is that if you have questions, ask. Call the insurance company, speak with your company’s HR, and talk to others who may have had that plan before. Although choosing an insurance plan is difficult, it is important to choose one that will cover the needs of your family. The last thing any parent wants to think about when they have a sick child is whether or not their insurance covers the illness or injury. It is always good to be prepared and understand how your plan works for you. We recently discussed the importance of taking care of our bodies and today we’ll discuss renewing our minds. 3. A third lesson I have learned is that my transformation would be accomplished by the “renewing of [my] mind” (Romans 12:2). In regard to how I treated the God-given gift that is the human body, I had conformed to this world—the American culture, where 66 percent are overweight, with 33 percent being obese. When a person sets out to lose 100+ pounds, there is no doubt about it—they are wanting transformation. But I knew that I had failed miserably over and over again when trying to lose weight in the past. I knew I could never be transformed by my own power, and God showed me that even the help of Weight Watchers wouldn’t be enough. If I wanted transformation—lasting change from the inside out—then I needed the Romans 12:2 kind of transformation. There the Spirit of God tells us to “be transformed by the renewing of your mind.” This implies that transformation does not occur merely by an act of God. It requires personal effort—the effort to “renew the mind.” Obviously, over the years I had learned and accepted the lies of Satan in regard to my body. What I had to do was educate my mind, renew my mind about how God designed this body to use food and the best way to feed, exercise, and treat the body. As I educated myself and practiced what I learned, I have indeed transformed my relationship with my body, God’s gift to me. In addition to learning about the care and feeding of the human body, mostly from Weight Watchers, I have also renewed my mind directly through God’s word. There are several passages that either directly talk about the body and/or food, or can be easily applied to it. The following passages have worked to transform me, and as Romans 12:1 says, prove that the will of God is good and acceptable and perfect. From 1 Corinthians 6:13 and Philippians 3:19 I have learned anew that “food is for the stomach” and that I can make my belly a god. Philippians 1:20 has taught me that I should live like Paul so that “I shall not be put to shame in anything,” but that Christ should “always be exalted in my body.” I looked in the mirror and knew that my self-abused body did not honor or exalt the Designer and Giver of life, and in this way worked to diminish Christ in the eyes of the world. I Corinthians 10:31, which says, “Whatever you eat or drink, or whatever you do, do all to the glory of God,” drove it home to me that how I relate to food can glorify God—or not. I can get up from bed, a chair, the car, etc. without even thinking about it. I can run up a flight of stairs. I enjoy sweating from hard physical labor and exercise. I am much stronger now. I enjoy eating all kinds of vegetables now—even green beans. I choose to plant and tend a large vegetable garden. I want to teach my children to care about nutrition and fitness. In all of this I have proven to myself what the will of God is in regard to the body He gave me. It was designed to move with ease and work and accomplish what I desire to do physically. My other body couldn’t do those things and I had forgotten that part of the joy of life. It just causes me to glorify God. Today I enjoy food, another gift from God, more than I ever have—because I eat a variety of it and really taste it. Today I can physically do what I never dreamed of doing before. I can do all this through Christ who strengthens me (Philippians 4:13). I give God the praise and glory for my weight loss. But I am not saying that God has worked a miracle in me. I have not lost weight supernaturally. My weight loss has occurred in direct proportion to the workings of the natural world—the ratio of calories into calories burned. Yet I know I have lost the weight because God has done His work in me as I confronted the truth: the way I treated my body dishonored Him and limited my ability to serve Him, and as I hid His Word in my heart He let it renew my mind and transform me. For each of us, it is difficult to confront the truth about ourselves regarding the sins or other hindrances which keep us from fully serving God, from living the complete Christian life. Your encumbrance is likely completely different from mine—so let me encourage you to examine your life and see what it is that is holding you back in your spiritual service to God. When you are willing to lay that hindrance aside and move ahead in faith with God, then you can “be transformed by the renewing of your mind.” This will happen as you search out God’s Word and see what He has to say about your situation. What is His will for you as His creation, His child, His redeemed one. The information you need is in Scripture. Renew your mind by learning and taking on the mind of God, the mind of Christ, and in doing so you will prove to yourself and to the world just how good and acceptable and perfect the will of God is. And bring glory to His Name. Psalm 139:14: I will give thanks to Thee, for I am fearfully and wonderfully made; Wonderful are Thy works, and my soul knows it very well. This verse has never meant more to me than it does right now. This past Saturday God allowed me to enjoy an experience I would never have dreamed of 17 months ago. I jogged in a 5-mile cross-country trail run—through fields, woods, and across a creek twice! I jogged the whole 5 miles, never walking a step, and I did it in 59 minutes. Over the past eighteen months my body has undergone a transformation as I’ve released 120 pounds and regained health. I am healthier now at 46 than I was at 26 and more fit than I was at 16. I am not telling you this to brag on myself or to beg for compliments and praise about how I look. I’m telling you this because I want to give the praise and glory to God for what has happened in the last year and a half. It would not have happened without Him. You see, it really hasn’t been my success—it has been God’s success, God’s victory, in me. It is what Christ has done in me. His works are wonderful [and my body] and my soul know it. During the past 18 months I have learned about nutrition, health, and fitness thanks to Weight Watchers and my sister, Tracy, who encouraged me to join; but more than that, I have learned some important spiritual lessons that I believe have been the key to my weight loss success. 1. The first and most important spiritual lesson I learned in this journey is that my body and what I do with it and to it matters to God (1 Corinthians 3:16-17). To be honest, when I joined Weight Watchers I wasn’t convinced of that. 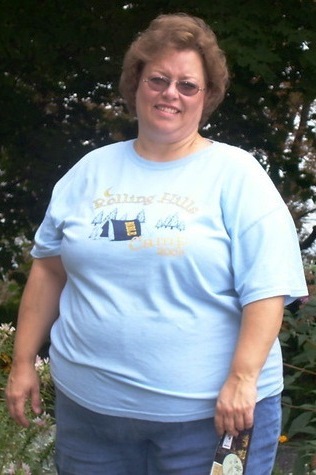 I was initially pretty hesitant about involving God in my quest to lose weight. I resisted talking to Him about my desire to lose weight and ask for His help. I think there were three main reasons I was reluctant to go to God with this: 1) I worried I would just be using God like some kind of diet gimmick. 2) I figured if I prayed about it and then failed, I would open myself up to the temptation of blaming God for the failure and the state of my obese body. 3) If I prayed about it, I had to make a serious commitment to listen to God about His will in this and that meant being willing to obey as well. My body is a temple. Paul says that God’s Spirit, the Holy Spirit, literally dwells in me. My obesity was destroying that temple. My 45-year-old body ached like it was 80 years old. I couldn’t get out of bed without a lot of effort and aches in my hips, knees, and feet. My hands hurt every morning. Getting out of a chair took work as I slowly straightened out joints. It was pitiful. I was too young to be so old. I knew I was only old because I had been abusing my body for years. In addition to aches and pains, I snored badly at night and didn’t sleep well; I had heartburn daily and ate Tums every night before bed. I was well on my way to be diagnosed with type 2 diabetes, if not heart disease. The poor food choices and amount of food I was eating were destroying my body. In 1 Corinthians 3:16-17, God said that my body as the temple of God is holy—and I was defiling it. If that isn’t something to repent of and pray to God about, then I don’t know what is. Confronted by that passage, it became obvious to me that I had to involve God in this. Indeed, God desired to be involved in this. I could make my weight loss all about myself—or I could make it all about Him and through it bring Him the glory that for so long I had diminished. So I prayed in repentance for defiling His temple. 2.A second thing I have come to understand is that obedience to God in my life meant taking off the weight (Hebrews 12:1). In the past year, the Lord has opened my eyes to just how much my obesity was literally what Hebrews 12:1 describes as a besetting weight—an encumbrance—that hindered me from running the race that was set before me. The Lord opened my eyes to the fact that if I didn’t get my body under control I would not be able to serve the Him well while I did continue to live on this earth. I was already too out of shape and too old in body to play with my children. I was so large I couldn’t hold a baby, a future grandbaby, comfortably and certainly couldn’t enjoy myself playing on the floor with a toddler. Moving around was exhausting. While my weight wasn’t yet really hindering my teaching ministry, I believe it presented a barrier to others as it screamed a lack of self-control (one of the fruits of the Spirit), which is not what a Christian should exhibit. There was also a desire I have had since I was 17 years old to do mission work. The Lord has not yet led me to that, but now that my youngest children are getting older, the idea of going on short-term mission trips appears to be within reach. But I knew that I was just too big to travel comfortably and knew that I would be miserable in primitive conditions without air conditioning and having to walk significant distances. So had I limited God’s plans for me? Would my work in the church be limited as I grew older because I had brought disease and pain into my life by my neglect or over-indulgence of my body? I came to see that as much as my weight hindered my service to and for God, clearly Satan was elated. I had already provided some victories for Satan in this area. How could I let that continue? So I prayed and repented. I asked that God would help me to learn how to treat my God-designed body with the respect it deserves and to permit it a measure of recovery in dedicating it to His service. So now my weight loss really was less about me and more about Him. We’ll continue soon with the next lesson, so please check back! Whether you are a newlywed or have moved out on your own for the first time, you will need to prepare meals for yourself, your new husband, and any visitors you may have. Some of us have been fortunate enough to have our mothers or grandmothers take us into the kitchen as little girls and show us how to make many different things. Others may not have had anyone to teach them. Some people love to cook, and some people have no desire at all. Even if you had many experiences with cooking, your new husband may have grown up with very different recipes or ways to prepare them. Cooking and sharing a meal together is a great way to unwind and talk about your day, and it is very rewarding to feel like you are a blessing to your husband, family, or visitors. “She also rises while it is yet night, and provides food for her household and a portion for her maidservants” (Proverbs 31:15, NKJV). While some of our most memorable times are around the dinner table, preparing meals can become stressful, and having some basic tips can help to alleviate that stress. Sort through all of the kitchen supplies you have received as shower, wedding, or housewarming gifts. Some gadgets may be unfamiliar to you, so look at the package and instructions to know how to use them properly. In setting up your kitchen supplies, make sure you have varying sizes of pots and pans with lids, mixing bowls, roast pans, and casserole dishes. You will need some wooden spoons, pancake turners, slotted spoons, spatulas, tongs, a can opener, and some knives. 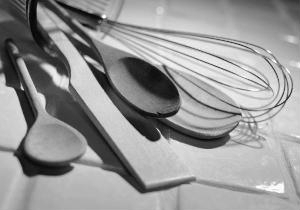 For baking, you will need cookie sheets, muffin pans, cooling racks, a pie pan, and a set of measuring spoons and cups. Once you have the basics, you have what you need to make most dishes. Specific pans and utensils can always be purchased as you need them or with gift certificates you have received. If you have minimal cooking skills and not many meal ideas, invest in a cookbook. Many cookbooks contain pictures and uses of each kitchen tool, baking/cooking terms, and “how-to” pictures to cut, slice, measure, and bake correctly. As with the kitchen supplies, there are always certain ingredients you should keep on hand. Butter, eggs, milk, flour, sugar, salt, pepper, broths, cooking oil/spray, vegetables, fruits, and frozen meats are some common items that are used in recipes. Once you have an idea of what kinds of meals you will be preparing, create a list of all of the meals you know how to make and that you like. Always keep the basic ingredients stocked in your kitchen, as well as items needed to prepare the meals on your “master list.” Once you have your list of meals, you can even sit down and plan out your meals for each day of the week using that master list. Making this weekly plan can help with your grocery list, too. You will know what ingredients and side dishes you will need for each meal and whether or not you have it in your pantry already. This will help your budget and can prevent you from having to make multiple trips to the grocery store for things you have forgotten when you begin to cook the meal. Never be afraid to try new things, either. Cut out or make copies of recipes you would like to try, and substitute a new recipe for a meal from your main list at least once a week, just for something new. Allow your list to be flexible. Keep ideas of lighter or heavier meal substitutions. If it’s 80 degrees and humid, scrap the beef stew idea for something lighter that won’t have you standing over a hot stove. If you have a slow-cooker, make sure and use it to your advantage on a day when you know you are busy and may not be home in time to prepare a big meal. You may find yourself entertaining more often, and the more you entertain, the better you will become. When deciding what to prepare, keep in mind who is coming, whether it is to be a casual affair or a special celebration, where and when it will take place, and what your budget is. Always plan your main dish first, and remember to complement with side dishes. Make sure the flavors go together. A strongly flavored main dish needs a more mild side dish. If the meal is on the heavy side, try a lighter dessert. People will expect lighter dishes for breakfast and lunch and more hearty dinners. Consider hot foods and rich desserts in fall and winter and fresh, cool dishes in the summer. If there are multiple dishes that need to go into the oven at different temperatures, reconsider some of your options to include dishes that can be served cold, ones that can be served at room temperature, and ones that need to be served hot. Remember to stay organized and relaxed. People are coming over to spend time with you and have a good time. You do not need to impress them with exotic feasts, but serve good food that you enjoy, and your guests are sure to enjoy their time with you. “And make me savory food, such as I love, and bring it to me that I may eat, that my soul may bless you…”(Genesis 27:4, NKJV). College is a pivotal time in a young adult’s life, but it also can lead to a decline in healthy habits and physical activity. The “freshman 15,” or typical weight gain of a college student, is usually due to a decrease in activity, an increase in unhealthy food choices, stress, and the change in daily routine. Although it seems like a rite of passage to enjoy every single freedom that college brings, it is not an excuse to allow bad habits to take over while healthy habits decline. College can be the perfect time to change for the better. The first part of staying healthy while away at college is to make wise food choices. Many students take part in the food plan while away at college, and many of the cafeterias offer buffet-style dining where you can choose among a variety of foods. Become familiar with portion sizes, as buffet-styles can allow you to heap your plate full instead of just eating a serving. Be mindful of returning for seconds and try to choose the healthier items available. The best part about buffets is that they offer many options when it comes to salads, low-fat dressings and milk products, whole grain breads, pastas and rice, and grilled vs. fried foods. If you still feel the need to order that pizza for your late-night cram session, opt for healthier choices such as thin crust and veggies. You always have a choice. Most buildings on campus contain vending machines with an abundance of chips, candy, and soda. Make sure to carry healthy snacks like fruit, pretzels, and water with you to class so you’re not tempted. 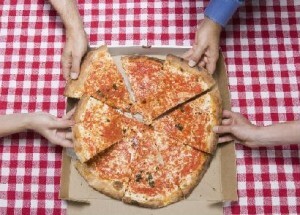 Research has shown that when eating in groups, we tend to eat more food than when eating alone. It takes your stomach 20 minutes to communicate with your brain that you are full. Take your time when eating. Enjoy the company, chit-chat awhile, and eat more slowly. You’ll become full sooner than you think, and will avoid the late-night stomachache when you have had more food than your stomach can handle. Look into buying a small refrigerator so that you can purchase and store your own healthy favorites to keep handy. Stress is a big problem in college due to hectic schedules, homework, job schedules, sports practice, being away from home, peer pressures, and other collegiate pressures. Try to set aside time each day just to relax. Do whatever you need to do (read, exercise, listen to music, etc.). There are a lot of new things going on in your life at this time––new adjustments to living on your own or living with people that you’ve never known before. Make sure you take some time just for you. Do not eat food just because you are stressed or bored and have nothing else to do. Many of us played sports in high school and were typically more active. Many of us do not continue to play those same sports in college. Think about all of the exercise you’ve done on a daily basis during practice that you never once considered as “exercise.” You were training and practicing for the next game, match, or tournament. Staying active is crucial to staying fit during college. Join an intramural sport if you’re not playing on a collegiate team––this is also a great way to meet new people and form lifelong friendships. Most admission to the gym on campus is free to students, so take advantage of their workout equipment, swimming pool, and classes. You can always purchase a video to use in your dorm room if exercising in a crowd doesn’t appeal to you. Every amount of movement helps, so try to walk around campus instead of taking the shuttle or driving, and take the stairs instead of the elevators in every building. Create your own healthy college experience simply by trying to make a healthy choice every chance you can. Remember that one of the most important things during your transition to freedom is to keep God’s Word close to your heart. “My son, give attention to my words; incline your ear to my sayings. Do not let them depart from your eyes; keep them in the midst of your heart; for they are life to those who find them, and health to all their flesh. Keep your heart with all diligence, for out of it spring the issues of life. Put away from you a deceitful mouth, and put perverse lips far from you. Let your eyes look straight ahead, and your eyelids look right before you. Ponder the path of your feet, and let all your ways be established. 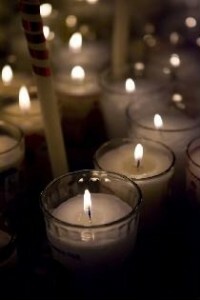 Do not turn to the right or the left; remove your foot from evil” (Proverbs 4:20-27 NKJV). 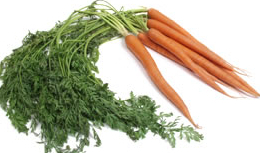 Carrots are a member of the parsley family, with feathery, leafy greens and an orange root. Carrots are an excellent source of carotene, fiber, vitamin A, calcium, and folic acid. Carrots can be eaten raw or cooked by boiling, roasting, steaming, sauteing, and grilling. They have a sweet taste and can be eaten as appetizers or added to many dishes. When you select carrots, look for them to be uniform in color from top to bottom, with smooth skin, free of cracks. Dark coloring at the crown of the carrot indicates that they are getting old. Avoid carrots that have begun to sprout, have blemishes or soft spots, or have begun to go limp. Carrots can be stored in the refrigerator for up to a month if stored properly. Wrap the carrots in a paper towel and store in a bag in the fridge to avoid excess condensation, which will rot the carrots. If the greens are still attached, cut them off to stop them from drawing out excess moisture. Click here for more great carrot tips and recipe ideas. We recently discussed how to protect against sun exposure by using sunscreen and protective layers, so please read that article, then come back here. Avoid prolonged exposure to the sun during the most intense times (10am-4pm). It’s also important to avoid tanning beds. These beds have lamps that use the same light as the sun, only instead of the sun’s rays which are bouncing off of the trees, pavement, buildings, and you, the lamps are focused only on you. Some medications make you more sensitive to sun exposure, causing you to burn more easily. Check your prescription and over-the-counter medication labels, as sun sensitivity will be listed if it is a side effect. Conduct skin exams over your entire body once a month, standing in front of a full-length mirror. Be sure to use a smaller, hand-held mirror to examine all hard-to-see places, and lift up your hair around your neck, ears, and forehead. Become familiar with the pattern of moles, freckles, and any other marks on your skin so that you will notice any changes in them. Watch any bumps or moles to make sure they are not changing in shape, color, or size, and watch for any new growths or any sores that won’t heal. Show your doctor anything that concerns you. People with moles, freckles, fair skin/hair, and a personal or family history of skin cancer need to be more careful and aware of their sun exposure (but don’t assume you’re exempt if you don’t have these characteristics). If you do get a sunburn, stay in the shade, as any additional sun exposure will increase pain and the severity of the burn. Take a cool bath or shower or apply cool compresses to alleviate the heat and pain of the burn. 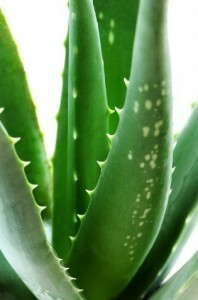 Apply aloe vera gel, which is excellent for soothing the burn and quickening healing. You can take a pain reliever, such as acetaminophen (Tylenol) or ibuprofen (aspirin), or use the spray-on “after burn” pain relievers (remember to always talk to your doctor before taking any medicine). If the sunburn is severe, looks infected, or blisters begin to develop, call your doctor. Heat exhaustion and heat stroke are also a possibility in warmer weather when one becomes sunburned, dehydrated, or overheated. Call your doctor if you experience an unexplained fever, trouble looking at light, nausea, vomiting, diarrhea, fainting, or mental confusion. Get outside and enjoy that beautiful weather that God has given us. 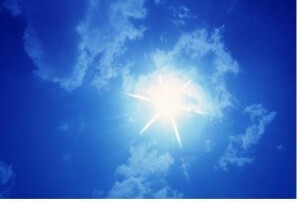 “…you see and know for yourselves that summer is now near” (Luke 21:30 NKJV). Do not be afraid to take your activities outside; just be aware of what your body is telling you. Learn as much as you can to protect yourself and your family, keeping your bodies healthy so that you can continue to serve and praise God to your full ability. As with all activities, make sure you drink plenty of water and stay hydrated. By the way, have you reapplied that sunscreen lately? Summer has arrived. It’s beautiful out and the sun is shining, which means more outdoor activities . Getting some sun is good for us. The sun provides us with vitamin D, which allows our bodies to absorb and use calcium. Not to mention, the sun is one of God’s most beautiful creations. “Then God made two great lights: the greater light to rule the day, and the lesser light to rule the night. He made the stars also. God set them in the firmament of the heavens to give light on the earth, and to rule over the day and over the night, and to divide the light from the darkness. And God saw that it was good” (Genesis 1:16-18, NKJV). Being out in the sun can make us feel great, but over-exposure to the sun’s harmful rays can cause premature aging and skin cancer. The damage may not be visible now, but the sun damage appears over time with slowly sagging skin, fine lines and wrinkles, discoloration, freckles, and age spots. Nothing can undo the damage that has already been done to your skin, but it’s never too late to begin caring for your skin now, to prevent additional damage. Sunscreen should be a part of your everyday skincare routine. Many skincare products, such as lotions, moisturizers, foundations, and lip balms/lipsticks now contain an SPF. When choosing a sunscreen, an SPF of 15 or higher is recommended for protecting against both UVA and UVB rays. Read the label to see how long before sun exposure you should apply the sunscreen and how often to reapply. Typically, you should apply sunscreen 15-30 minutes before sun exposure and reapply every 2 hours, if the label does not specify certain times. Remember that the SPF tells how long a sunscreen will last, not how powerful it is, so choose a sunscreen with a high SPF to keep from having to constantly reapply. Make sure to reapply sunscreen after swimming and after activities where you are sweating. The term “waterproof” on a sunscreen bottle is deceiving. No sunscreen can be kept from washing off. Some of the ingredients may help certain sunscreens to be more water resistant than others, but all sunscreen eventually washes off and must be reapplied. Remember to apply sunscreen liberally! An average-sized adult needs approximately 2 tablespoons of sunscreen for skin to be appropriately covered. Make sure you remember your lips, ears, neck, and underneath the shoulders of sleeveless shirts (most tops will shift at some point). If you are not swimming, cover up with long sleeves, pants, a wide-brimmed hat, and sunglasses. Make sure your sunglasses aren’t just making a fashion statement. Sunglasses should have protection from UVA and UVB light, and should be labeled as such. Alternate your time in the sun with time in the shade. Remember that even on an overcast or windy day, you can still become sunburned. The sun’s rays are able to penetrate through the clouds and reflect off of sand, water, and pavement. A windy day can be deceiving, as you can be unaware that your skin is burning since the wind keeps your skin feeling cool. In a future article, we’ll discuss tanning beds, self skin exams, and sunburn care, so check back soon! We have been talking about renewing an exercise routine and living healthy. Eating healthy is a big part of living healthy. No one likes the thought of dieting, because that means eliminating the stuff that we want to eat and the stuff that is convenient to eat. However, there are many simple food substitutions we can make to eat healthier––and still enjoy the foods we love. The Bible tells us to be wise in our eating habits. The way that we eat, drink, and care for the body that God gave us can bring glory to Him. “Therefore, whether you eat or drink, or whatever you do, do all to the glory of God” (1 Corinthians 10:31 NKJV). One of the simplest things we can do is watch the serving size of foods. Become familiar with nutrition labels, and read the ingredients. Nutrition labels contain the amount of calories per serving size. A serving of cereal does not mean just grabbing the cereal box out of the cupboard and filling the bowl to the top. Most serving sizes for cereals are ½–1 cup of cereal, followed by ¼– ½ cup of milk. When you are eating chips or cookies, don’t just grab a handful––look at the serving size. If the serving size is 17 chips or 2 cookies, just take that amount. It may initially feel like a pain to have to count out everything you eat, but you will become accustomed to what a serving looks like and you will feel so much better about your progress in the long run. 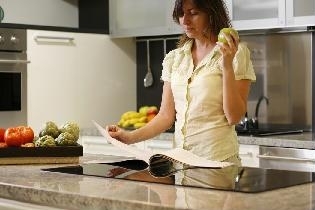 You can also purchase a kitchen scale, as some serving sizes are based on ounces or grams. Other changes you can make involve substituting healthier choices for the more fattening snack ideas. You can substitute applesauce instead of oil for cake and brownie mixes. The applesauce still makes the batter moist and delicious, and you don’t have the negative qualities of the oil. 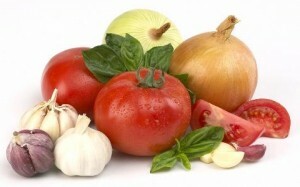 Switch to whole wheat breads, pastas, and rice instead of white, making sure the first ingredient on the nutrition label is “whole grain.” Salsa with fresh tomatoes, onions, and garlic is a much healthier alternative to most chip dips. Baking instead of deep frying also cuts down on the calories. Compare different cooking sprays versus butter, margarine, or Crisco when frying and baking. I found this handy chart for junk food cravings at BabyCenter.com. Sundae toppings Fresh berries or sliced bananas. If you crave crunch, throw on some crispy rice cereal. Chocolate Fat-free hot cocoa made with nonfat milk. Or make some trail mix with raisins, dried fruits, nuts, and a small handful of chocolate chips. Cookies Graham crackers. Add a little peanut butter for pizazz. If you are craving fast food, or if fast food is your only option and you need something quickly, try ordering from the kid’s menu. Kid’s meals are smaller portions, and more accurate to the amount we actually need, meaning fewer calories. 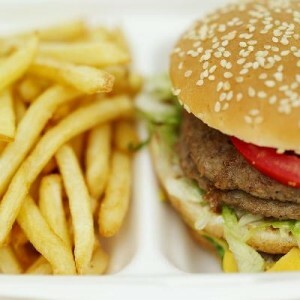 Most fast food restaurants now offer side dish options where you can choose a salad or fruit instead of french fries. Water instead of soda is always a good option, and grilled chicken sandwiches contain less fat and calories than hamburgers (just don’t negate the healthiness with tons of mayo!). Many fast food chains are making the nutritional information for their products available. Make sure to ask for that information if it is not readily available. A good tip when ordering––the words “small,” “kiddie,” and “regular” identify the appropriate serving sizes with fewer calories. Eating healthy can be as simple as making some food substitutions. Fruits and vegetables are always great snack options over candy and chips. Watch your serving sizes, and make sure you are staying active. Make sure you do not become obsessed with counting everything out and always eating the healthiest choice. It is okay to splurge once in awhile and have some ice cream instead of the yogurt. If you feel that you do have a problem with food, exercising, or being overweight, make sure you speak with your doctor. He or she can help you make out a food or exercise plan that is specially suited for you. Do not allow your eating behaviors to become unhealthy, and remember that our most important goal is to follow Christ’s example and live for Him. “Therefore I say to you, do not worry about your life, what you will eat or what you will drink; nor about your body, what you will put on. Is not life more than food and the body more than clothing? … But seek first the kingdom of God and His righteousness, and all these things shall be added to you” (Matthew 6:25, 33). The human body is about 50–70% water. Water serves as the medium through which nutrients and wastes enter and leave the body. Water is needed in all aspects of bodily function. It regulates body temperature, blood pressure, and blood volume. Water lubricates joints and serves as a cushion (such as in the eyes and in the amniotic fluid during pregnancy). It is recommended for adults to take in 8 glasses of water per day. Water intake is encouraged throughout the day, especially when sweating, partaking in vigorous activities, being in hot climates, and during illness. Thirst is a late sign of dehydration, which has already occurred before the body is prompted to replace fluid loss. The best part about water is that it has no calories! Water can be consumed at every meal, and still not add any extra calories to what you are already eating. You can even add a twist of lime or lemon juice to add some flavor if you need an extra kick. With warmer months approaching, make sure you are taking in plenty of water to stay healthy and active. “And God said, ‘See, I have given you every herb that yields seed which is on the face of all the earth, and every tree whose fruit yields seed; to you it shall be for food’” (Genesis 1:29 NKJV). 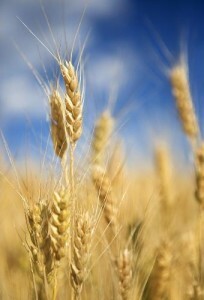 All of the fruits, vegetables, meats, and grains we consume have come from God. 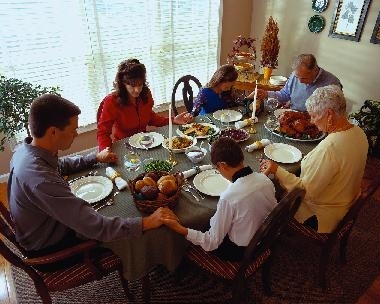 In order to have a healthy, balanced diet, we are to eat a wide variety of His foods daily. In our efforts to be healthy, organic foods have recently become popular. When you go to the grocery store, how do you decide between the fruit you have always purchased, and the fruit labeled “organic”? How do you know if something is organic? Is organic really healthier or more nutritious for you? I’ve done some research on this topic, and will discuss with you what I’ve found so that you can make an informed decision for yourself. 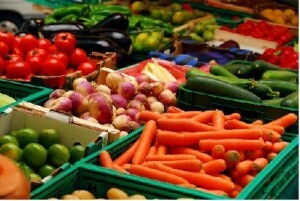 “Organic” refers to the way that fruits, vegetables, meats, grains, and dairy products are grown, processed, and handled. Organic farmers find different ways to fertilize, control pests, prevent diseases, and control weeds compared with conventional farmers. While a conventional farmer may use chemical insecticides to reduce the amount of pests and disease, an organic farmer will use beneficial animals, birds, insects, or set traps out to keep the pest population down in a more natural way. A conventional farmer will use chemical weed killer to manage weeds, while an organic farmer will use crop rotation, tilling, mulch, and pulling weeds by hand. Conventional farmers may use antibiotics, medications, and growth hormones to keep their livestock healthy, growing, and free of disease. An organic farmer will feed their livestock a well-balanced, healthy diet, maybe some organic feed, allow their livestock access to the outdoors, and keep their living spaces clean in order to prevent diseases. The USDA regulates strict guidelines in how food is grown, processed, and handled to determine if the product is able to be called “organic.” A farmer must be USDA certified to grow organic foods, which means he or she has met the standards set up to grow organic. The USDA will only label a product “organic” if 95 percent of the food’s ingredients are organically grown. Watch labels and food ingredients, as foods can be labeled “made with organic ingredients,” “all-natural,” “free-range,” “no antibiotics used,” and “grass fed/meadow raised.” This does not mean that the product is organic. Conventional foods use waxes and preservatives to make them last longer on the shelf and appear more attractive. Organic foods do not have these waxes and preservatives, so they may spoil faster and may have odd shapes. Many factors contribute when making the decision to buy organically grown or conventionally grown foods. Nutritionally, organic foods have not been found to be any more nutritious than conventional foods. The USDA does not claim that organic is more nutritious. The cost of organic foods is higher than conventional foods, mostly in part because of the increased work and cost that goes into growing and processing. Organic growing methods are labor intensive (hand pulling weeds instead of chemical weed killer), have strict government regulations, and may produce a lower yield. Some people say they can detect a difference in the taste of foods grown organically versus conventionally, while others say they cannot tell a difference at all. In quality and safety, organic and conventional produce must meet the same standards. Overall, the decision to buy organic or not should be studied and looked into before you decide. There are numerous issues surrounding this industry, and you should weigh their importance to you, personally. Regardless of whether they are organic or not, all fruits and vegetables should be washed thoroughly under running water to decrease the amount of dirt and bacteria, the outer layer of leafy green vegetables should be removed, and the fat should be trimmed off of meat, poultry, and fish. To receive the best taste and quality in foods, always purchase the freshest produce and produce that is currently in season. Taste is very subjective and personal, so try different things. Compare organic and conventional products and pick what tastes good to you. If freshness and quality are important to you, consider visiting a farmers’ market. Farmers’ markets allow you access to locally grown, farm-fresh produce. And since it is local, you are getting much fresher food than if you purchased it at a store––and usually at a better price. The USDA website has a link to find farmers’ markets in your area with state-wide farmers’ markets, contact information, and operating days and times. You can visit their website for more information. Visit USDA for more information on organically grown products, certification, safety standards and how the USDA regulates all agriculture. Let us remember, “…What God has cleansed you must not call common” (Acts 10:15 NKJV). Broccoli is a nutrition powerhouse high in iron and vitamins A and C, rich in fiber and folate, and low in sodium. Broccoli is at its peak October through April, but is available year-round. Broccoli is best when it has a deep, strong green-purple color and tightly closed buds. Pieces that have begun to flower should be avoided, as this indicates the broccoli is old and tough. 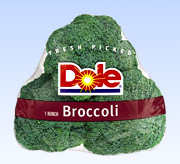 Store fresh, unwashed broccoli in a bag or airtight container in the crisper of the refrigerator for up to 4 days. Wash broccoli under running water, removing any outer leaves before eating. Broccoli can be eaten fresh, cooked, or steamed. Broccoli also comes frozen, and can be used in recipes such as pasta dishes, casseroles, soups, and as a side dish. One pound of fresh broccoli equals 2 cups chopped. One 10-ounce frozen package of broccoli equals 1 ½ cups chopped. One cup of chopped, cooked broccoli contains 43 calories, while 1 medium fresh stalk (148g) contains 45 calories. Broccoli is extremely versatile and incredibly nutritious, so as you are visiting your local farmers’ markets this spring, why not grab some and reap the benefits!